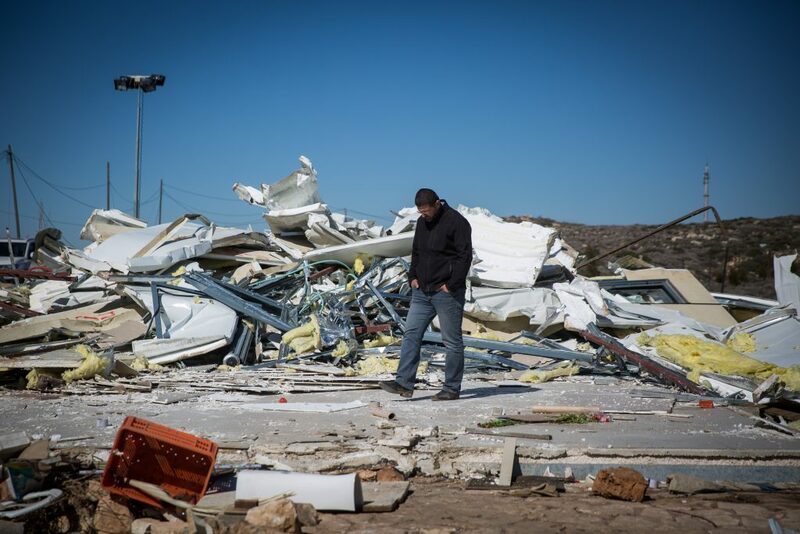 Amona evictees have chosen a site in the Shiloh region for the construction of the new community promised them by Prime Minister Binyamin Netanyahu. The Geulat Tzion hilltop was one of the options presented to Amona evictees, and the majority chose the site for the construction of their new homes. The evictees and supporters on Sunday morning staged a demonstration outside the prime minister’s office, demanding that the cabinet approve their choice in Sunday’s meeting. The hilltop has been the scene of numerous attempts to set up an unauthorized outpost — and as many attempts by police and the IDF to tear down the tents and temporary structures that spring up there occasionally. Considered a bastion of the “hilltop youth,” the site is frequently on the radar of police who seek to question activists about various “price tag” attacks. Although the state has shut down efforts to settle the hilltop, it should be noted that 600 dunams of land on Geulat Tzion is state land — and it is this land that Amona evictees are demanding that the state legalize and turn into a new community for them. The next step would be for the government to approve the decision and set in motion a plan to organize a building framework for the site. The new site is south of the Amona hilltop, in the Binyamin region. One advantage of the area, the source said, is that most of the land in the area of Shiloh has been vetted as state land, so there is no danger that absentee Palestinian claimants will file petitions to remove the residents from their new homes, as was the case in Amona. At least three options were presented to the Amona evictees, sources close to the evictees said.